Heartland Energy Group, Ltd. is pleased to offer an environmentally friendly and direct replacement for d’Limonene. Heartland’s BioSyn is a multi-use solvent that effectively addresses today’s regulatory, safety and environmental issues facing solvent users today. Read more details about our d’limonene supplement below, or call (877) 797-2811 to learn more. BioSyn is a highly purified solvent that is derived from renewable and sustainable sources, making it a green d’limonene supplement. BioSyn is derived from palm oil and subsequently converted into palm methyl ester solvent. 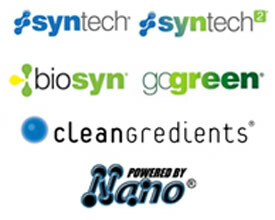 BioSyn is non-DOT regulated, non-fuming, biodegradable, non-toxic and OSHA and EPA compliant. BioSyn is manufactured with ingredients set forth by the Cleangredients as Environmentally Safer Ingredients, so when you need a d’limonene supplement, you can trust BioSyn as a green alternative. In addition to BioSyn’s use in the oilfield, BioSyn can also be used as a key “green” replacement ingredient in the production of cleaners, degreasers, asphalt release agents, form release agents, blanket and roller cleanup formulas, ink removal, general adhesive removers, metal cutting compounds, animal fat degreasing, rust prevention and coating along with metal cutting. Our d’limonene supplement has countless industrial applications. To place an order or learn more about out this one-of-a-kind d’limonene supplement, contact our headquarters today by calling (877) 797-2811 or sending an email. Proudly serving oil and gas industry throughout the world.